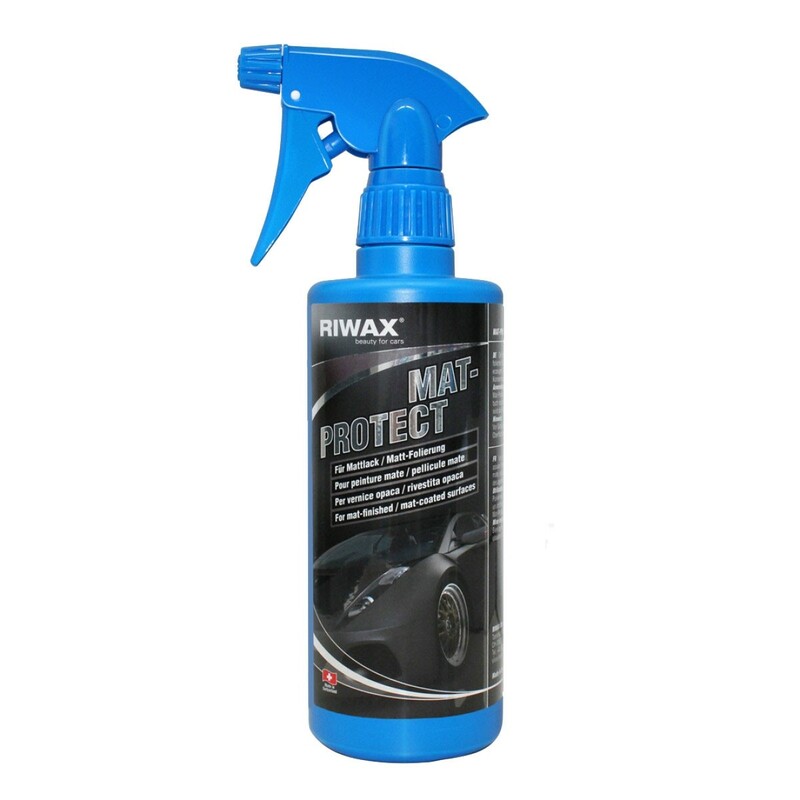 Auto-Balm is a unique product providing protection and gloss to automotive paintwork and car bodywork. 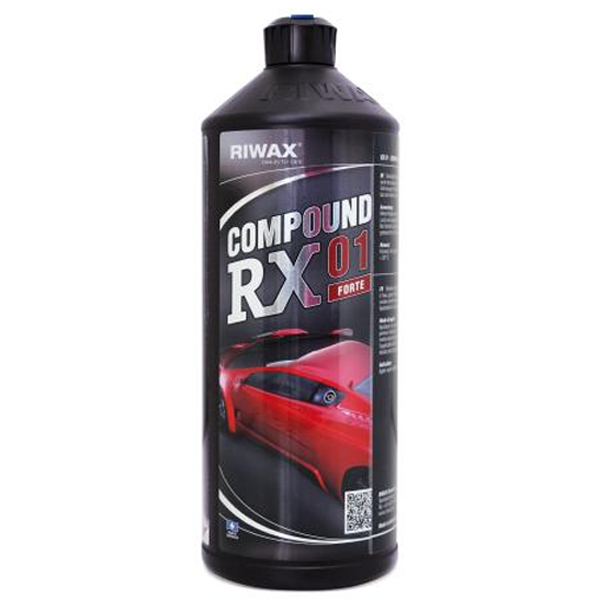 Normal automotive polishes and waxes are generally based on natural hard waxes such as carnauba and montan, but synthetic silicones and resins are also widely used - either with or without waxes - when these products are buffed to produce the required shine the ultra-thin films left provide very little protection at all. Auto-Balm is the result of thousands of hours of development and testing - a blend of synthesised complex corrosion inhibiting molecules that lock together tightly enabling them to remain functional in ultra-thin, high gloss films. Auto-Balm will seal capillary pores in paintwork and provide an anti-corrosion barrier to stone-chips and other damaged sites on vehicle paintwork. auto-balm will also protect and shine chrome, aluminium, and alloys. 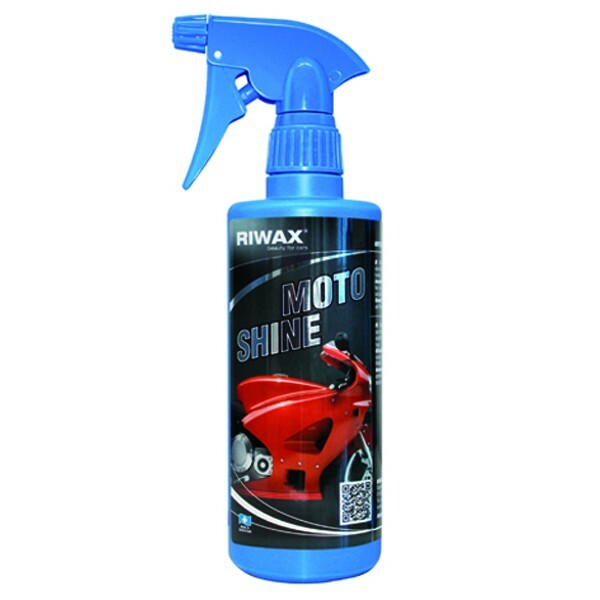 Auto-Balm is not an abrasive polish - if the vehicle’s bodywork is faded or in poor condition then the use of a light cutting polish will be required before application. 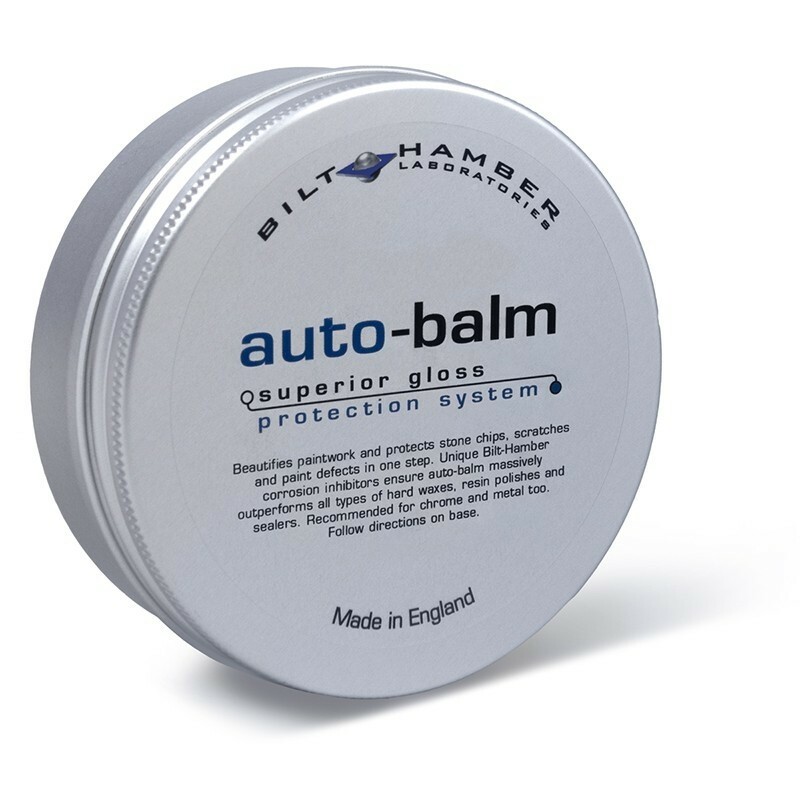 Auto-Balm’s deep gloss protective shine is achieved with no chemical build-up whatsoever. Auto-Balm 250ml is supplied with one app-pad and one large microfibre buffing cloth. 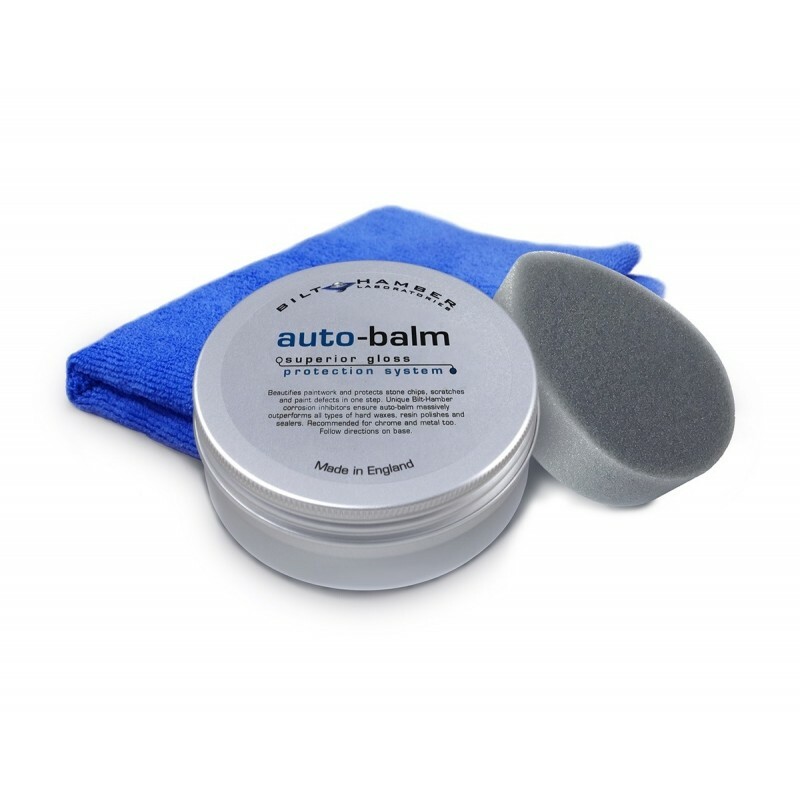 Auto-Balm 50ml is supplied with one app pad but no microfibre buffing cloth. Dry vehicle using chamois leather, or synthetic equivalent, e.g., microfibre cloth. Auto-Balm is not an abrasive polish, if your paintwork is faded, feels rough or has not been polished for a long period it will be necessary to use an abrasive polish and paint clay before application. Once prepared in this way regular application of autobalm will maintain a high gloss finish without need for further use of abrasive polishes. Wet the supplied circular polishing pad under running cold water. Wring the pad out - it should retain a damp feel. Touch the surface of the Auto-Balm paste so that a very small amount of the material is transferred to the pad. Apply to the vehicle keeping the pad flat - the dampness retained in the pad will lubricate the surface and allow the small amount of paste to spread a long way. You should not see droplets of water as you apply auto-balm if you do then the pad is too wet. Apply sparingly using the applicator pad in circular motion. (If preparation of car to show-standard or swirl mark elimination is required see below note*). If the paint is in marginal condition apply increased amounts of auto-balm and increase application pressure using smaller circular motion this will fill the porous surface and improve gloss although there is a point where if the paint does not respond use abrasive cutting liquid or polish first. Work on small areas, ONLY 2 - 3 feet square, at a time, do not work is direct sunlight and apply only to cool panels. Most polishes are laden with abrasive material making them easy to use but wearing to paint films and dusty upon buffing leaving little or no protective film at all. Remember that unlike other polishes Auto-Balm is not simply removed when buffed - applying small amount evenly will enable easy buffing and great results. After application of auto-balm wait for a few moments before buffing to a high uniform shine. Upon buffing auto-balm is transformed into a durable protective high gloss film - no dust at all is created. Use microfibre cloth supplied for the buffing process. It may be noticed on paintwork in poor condition that the wet-look created by a buffed auto-balm film is not fully uniform - this condition will improve on repeat application as the capillary pores fill with the protective film re-establishing a smooth surface. Ensure that the polish applicator pad remains clean during application - if required wash it using vehicle shampoo, rinse it thoroughly and wring until damp before continuing. A damp pad is not necessary when applying to metals. The microfibre should be turned frequently during the buffing process. Both applicator pad and microfibre cloth can be washed for re use. Do not use fabric conditioner. Where preparation of the vehicle to the finest possible degree is desired the application of auto-balm using light, straight, forward and back technique will eliminate any swirls or microscopic cobweb-like lines. On top panels, use front-to-back hand motions. On side panels, use up-and-down hand motions. This method allows auto-balm to fill tiny scratches and improve reflectivity. Heavy rubbing is not necessary. Swirls and cob webbing caused by abrasive polishes and waxes are particularly noticeable on the sides of clean vehicles in direct sunlight - you will be amazed at the elimination of these imperfections by applying auto-balm using this technique.